Postcard beaches with clear sands and abundant palm trees characterize Playa Nosara and its nearby neighbors Ostional, Samara, Carrillo and Guiones, on the southern coast of Guanacaste. 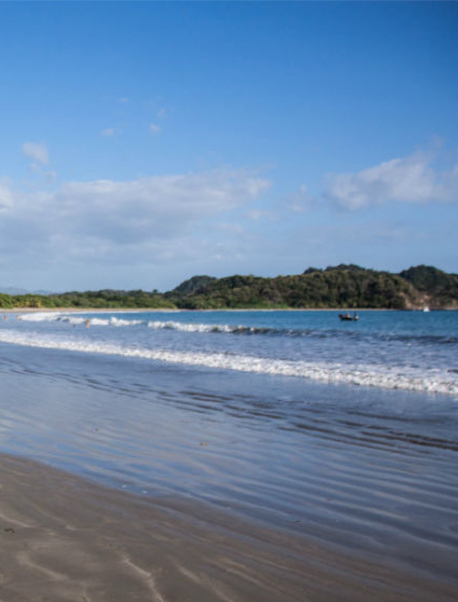 This area is home to coral reefs and calm waters, perfect beaches for surfing, Costa Rica’s largest turtle spawning center, and a world-famous wildlife refuge: Ostional National Wildlife Refuge. Originally a destination for adventurous surfers, the area has been differentiated towards an “organic tourism”, where yoga, meditation centers and naturist cuisine are taking their place among surf schools, bed & breakfast and restaurants on the beach.